Westwood's 2nd Annual Turkey Shoot is less than two weeks away! Spots are filling up quickly! If you haven't registered yet, don't miss your chance, sign upTODAY! Includes hot dog & beer (or soda) ticket and a turkey themed dinner buffet. Prizes to include: Golf gear, golf balls, Westwood apparel, complimentary rounds of golf & more!!! The cost is $150 per team of 2. Payment is due at time of registration. Please note that you will not be fully registered until payment has been received. To register your team online, CLICK HERE, enter the required information, and continue to payment. You may also stop by the Pro Shop to fill out the form in person. You will need each player's name, email, phone number and handicap. Beat the snow, rain and cold temps this Winter, and play some of the worlds top golf courses on our state-of-the-art Trackman Golf Simulator. 14 weeks beginning November 26th. Detailed league rules and format will be determined after participation is confirmed. CLICK HERE TO SIGN UP ONLINE, or sign up in the pro shop. **ALSO.. Stop into McCalley's Tavern for a free gift with valid I.D.! 2019 Memberships: Buy Now, Golf Now! Purchase your 2019 Westwood membership now and golf the rest of 2018 for free! To learn more about membership plans and pricing, click here. PS: Westwood memberships make great Holiday/Birthday gifts ;-)! Looking For A Venue To Host Your Holiday Party? Haven't found the perfect venue for your holiday party? 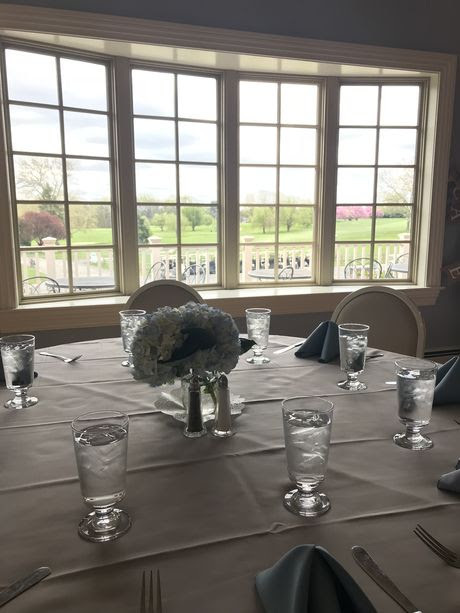 Located in a private setting overlooking the golf course, Westwood's banquet facility provides an ideal location for your event. We can accommodate groups big or small, with multiple packages to choose from. We still have limited dates available in November and December, so give us a call today for more information, or to schedule a meeting!!! 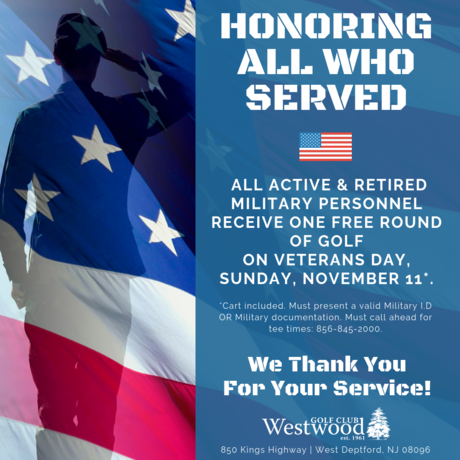 For more information about events at Westwood, please call 856-845-2000. 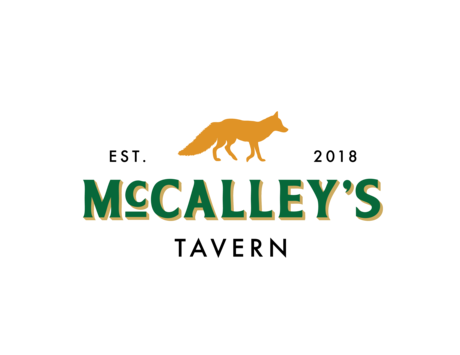 For exclusive content like specials, events, and giveaways, follow us on Facebook:@mccalleystavern& Instagram: @mccalleysnjNEW! Now make reservations via OpenTable on our Website or Facebook page! Eagles vs. Saints: All Happy Hours In Play! Bring your friends and come to McCalley's on Sun. 11/18 to Watch the Eagles take on the Saints at 4:25pm! Enjoy ALL HAPPY HOUR SPECIALS starting 30 minutes before kickoff, until the final whistle blows! Buy one meal and get the second of equal or lesser value for 10% off when you bring a friend to McCalley's on Sunday, 11/25. Help us celebrate National Lager Day on Monday, 12/20 with $1.50 12oz pours of Yuengling and $2.00 Yuengling bottles! We are thrilled to announce Westwood’s Indoor Winter Simulator League. Joining our Trackman League is a great way to have some fun with your friends, or to work on swing improvement. Even better, you'll have a fun place to play golf year round and experience all of those courses on your “Bucket List”. It is a great way to warm up with your irons and driver before your round. 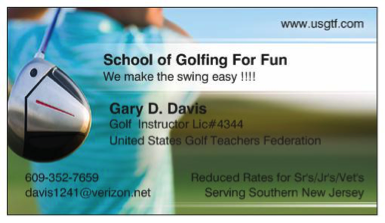 Maybe the best of all, a way to practice your swing and get instant feedback in the areas you may want to improve. What is Trackman? Trackman is dual radar technology that captures every detail of the golf club and ball at impact. This is the system most professional golfers on the PGA and LPGA use with their instructors and coaches to improve their game. It measures things like Club Head Speed, Ball Speed, Smash Factor, Launch Angle, Attack Angle, and much more. By knowing what your numbers are in many of these areas and comparing them to the ideal numbers, you can start to identify the area you may need to improve. What course would you like to play? Trackman Simulator System has some of the world's top courses for you and your friends to play. Play courses like St. Andrews and Royal Troon. Challenge your golf buddies before or after a round. Weather will never be an issue again at Westwood! Bring your friends for a fun round of golf, or grab a buddy and compete in our Winter Simulator League! Game Improvement! If working on your game is something you would like to do and you have often wondered, "Am I improving my swing? ", Trackman is for you. You can turn the system into a driving range and stop guessing how far you hit your driver or irons. Let’s say you wanted to hit your driver farther - don’t we all? Trackman will measure your club head speed and attack angle, which are the two most important factors to generate more carry and distance. You might be surprised to see your attack angle with your driver is on the - side (hitting down on the ball). That is great for your irons, but a real distance killer for a driver. I have seen many students purchase a driver with more loft thinking this is the solution for more carry and distance. Trackman would show you that loft alone usually creates excess spin. Excess spin when hitting your driver could decrease your overall distance. Attack angle and club head speed gives you maximum carry and distance.